These days, my natural disposition is calm and collected (most of the time). I have been reading more and spending more time alone with myself. As I’ve gotten older, I have found myself gaining more introversion traits. But as much as I enjoy being by myself, it’s not very conducive for for making friends and getting to know people. One thing that makes socializing difficult is the fact that I despise small talk. It’s so insincere and full of fluff. I dislike initiating small talk or being small-talked to. As you can imagine, talking to strangers for extended amounts of time is torture for me. Or at least it was until I changed my mindset. I realized that small talk is what you do with people whom you have no interest in ever getting to know on a personal level. If you ever want to get to know someone, you have to engage them in two-way communication– you listen a little and talk a little. As lame as it may sound, I have to actively remind myself that I am a human being who craves authentic relationships. Authentic relationships don’t happen over night– you have to put in work. As soon as I walked through the door, one of the hosts pulled me into a hug and I knew that I would not have much use for my script that evening. Let me explain: I have been waiting for the feeling of belongingness in a church or small group of friends. I feel a version of it in my grad program– that sense of camaraderie and mutual respect. But what I felt in that simple hug enough for me to let my guard down. We sat down, a motley crew of broke graduate students, teachers, pastors, parents, and their children, and ate a family dinner of baked ziti, corn, and meatballs. We had nothing in common except for our faith and love for God. I surprised myself by how much I talked to people (and how much Vernors Ginger Ale I drank). I felt very relaxed and comfortable when I realized was surrounded by people I would love to see again. It’s hard to waste time with small talk when you really want to get to know someone. I am enjoying getting to know the wonderful people around me. They are so kind and genuine. That is something I specifically prayed for when I decided to come to Syracuse. I want to meet people I can call friends and be able count on for friendship and counsel. 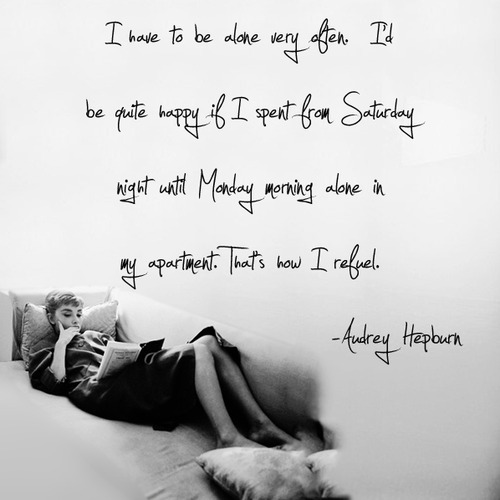 I won’t let a little introversion get in the way of that. 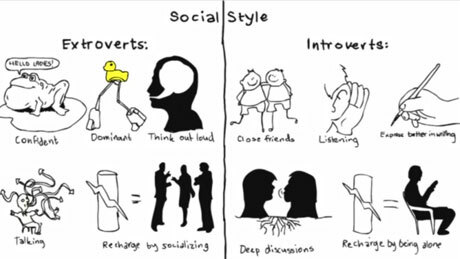 Funny enough, when I look at the qualities of extroverts and introverts, I would say I’m a little bit of both. I hope I can maintain that balance. I think everyone can use a little bit of introversion and extroversion in their lives. It keeps us from going crazy. If you haven’t already read BuzzFeed’s 27 Problems Only Introverts Will Understand, check it out!